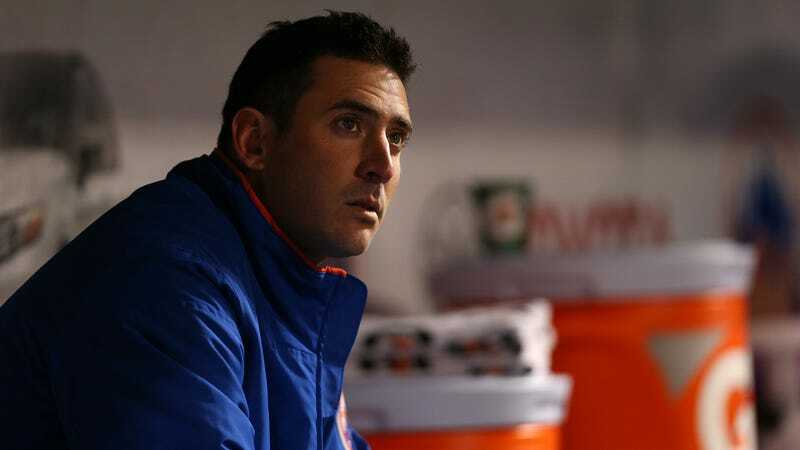 The story of Mets pitcher Matt Harvey is kind of a bummer, one of a former ace whose pile-up of injuries now have him barely hanging on to a major league roster. Despite his insistences that “I’m a starting pitcher,” Harvey has been demoted to the Mets’ bullpen, and he was angry (though entirely at himself, it appeared) when that news broke. “On a scale of 1 to 10, I obviously am at a 10 with being pissed off. You know, my performance hasn’t been there, and I have to do whatever I have to do to get back into the starting rotation,” he said. In his debut relief performance against the Cardinals Tuesday night, Harvey didn’t impress. Entering in the bottom of the fifth with the game tied at four, Harvey gave up back-to-back doubles to put St. Louis in the lead. And even though Harvey pitched a scoreless sixth and the Mets came back to win, he still seems pretty mad with not just himself, but also the general situation around him.